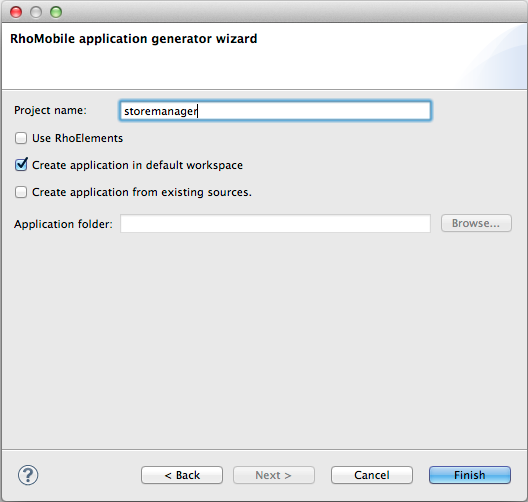 A RhoMobile project can be created from within RhoStudio or from the command line. Under the hood, RhoStudio invokes the command-line tool anyway, so the approaches are equivalent; both apply the Rhodes open-source framework for building cross-platform apps. This tutorial assumes that the RhoMobile Suite and its related components are already installed on your development machine. If that’s not the case, please refer to RhoMobile Suite installation instructions before beginning this tutorial. Open RhoStudio using the appropriate launch script for your development host. Select File > New > Project. The New Project window will open. 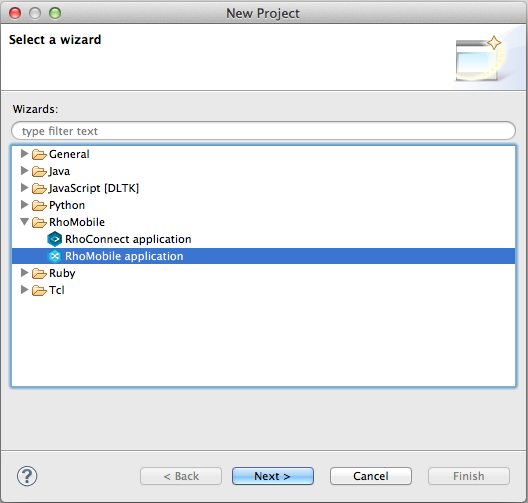 Select ‘RhoMobile application’ from wizard list. Notice that ‘Create application in default workspace’ is checked. To save the app in different location, uncheck and Browse to the new location. app                              Generates a new rhodes application. extension                        Adds native extension to Rhodes based application. model                            Generates a new model for a rhodes application. spec                             Adds spec framework to rhodes application. Here is an overview of the contents of each file and folder. Contains view helpers, which are used to extract common functionality into reusable functions. Rhodes generates application_helper.rb and browser_helper.rb automatically; you can add your own helper files as needed. Default controller file that’s invoked when the user taps the “Settings” icon in the application. The Settings panel displays status of the data sync process, allows sync-server login/logout, and permits maintenance tasks such as clearing the database. The entry point of your application. Any code that you want to run at startup should be placed here. 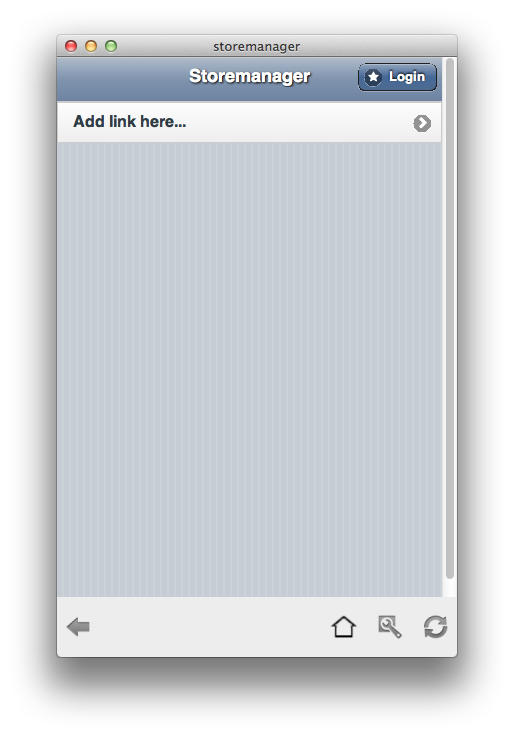 The first image displayed when the application starts up (unless you change it in the build.yml file). Contains elements present on all or most pages. Because most pages of an application typically have a similar structure and layout, it is recommended that you include elements common to most pages in a single file to ease maintenance. Rhodes acknowledges this best practice and provides you with a default template to minimize duplicate HTML code among your pages (views). Each page should contain only the code specific to that view, which is merged with the layout when the page is rendered. Splashscreen images for several device orientations and platforms. You will swap these files with your own at some point before deployment. 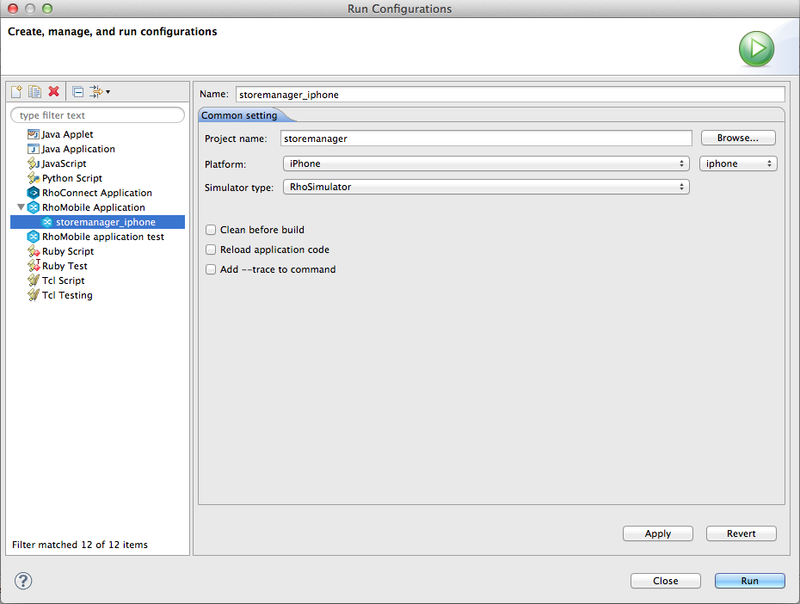 Controls compile-time settings such as the name of the application, the extensions to include, version of the Rhodes SDK to use for compiling, etc. Controls runtime settings, such as the app startup page, URL of the synchronization server, how much logging output to retain, etc. 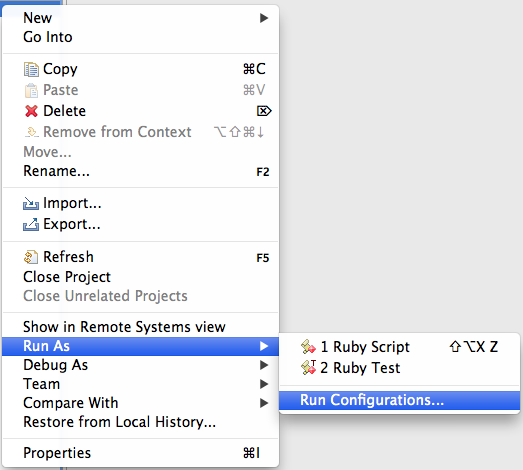 Standard Ruby rakefile designed to find the appropriate Rhodes SDK and use it to compile your application. models / controllers – when you add a data model to your application, each model will be created in its own folder within /app. For example, a model called ‘Product’ will produce a folder called /app/Product. Do not modify any files in this folder unless you are contributing to Rhodes. This is a link to the implementation of the Rhodes framework that RhoStudio shows for reference. 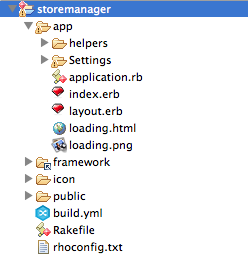 The framework folder does not exist within your application. Contains your app’s icon files in formats as required for each platform (Android, iOS, Windows Mobile/CE, etc.) that you plan to target. 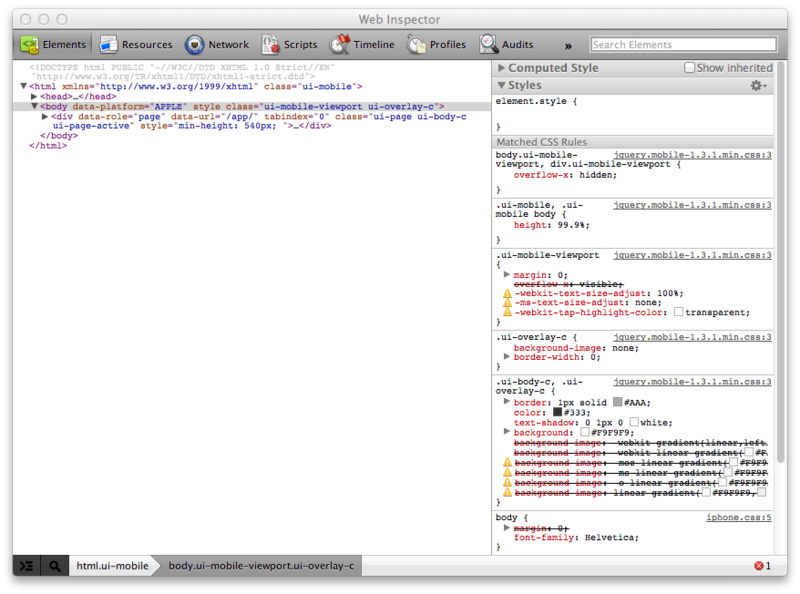 Holds the stylesheets for your app’s pages. Image files for toolbars, lists, ‘OK’ and ‘Back’ buttons, etc. While you can create additional folders and organize your files any way you like, it is recommended that you stay as close to the default as possible to ease support and simplify team development. RhoStudio will compile and launch your app in RhoSimulator. Due to memory limitations, RhoSimulator does not support Windows Mobile/CE apps. The application will start inside RhoSimulator with a different look depending on the selected platform.